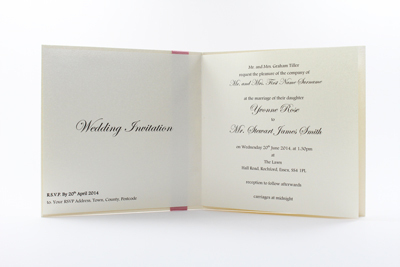 Enchanting is a truly beautiful collection of two-tone wedding stationery. 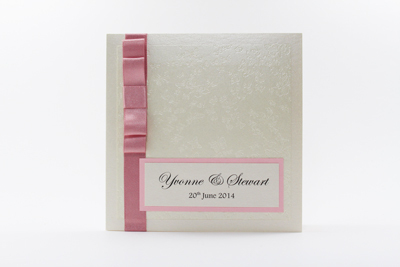 The wedding invitation example shown is made using Cream, Cream Butterfly Embossed and Rose pearlescent card and Dusky Pink satin ribbon. Insert paper is Cream. and to order using product code E01L.